The Lexington, Kentucky quartet Bear Medicine will release their debut LP, The Moon Has Been All My Life, next Tuesday 14 October. Unclassifiable, with lush instrumentation including flute and cello, the ten songs on The Moon Has Been All My Life unveil themselves like a time-lapse photograph, orbiting a modulated celestial sphere where beauty resides amongst the macabre on “Blood in Common,” Pan revels in his forest on the scurrying instrumental “Big Chief,” and Sufi poets provide a counterbalance to “Sevens.” Filled with astral urgency, fleeting moments and the surreal, The Moon Has Been All My Life‘s layers of sound are eery and calming, often at the same time. 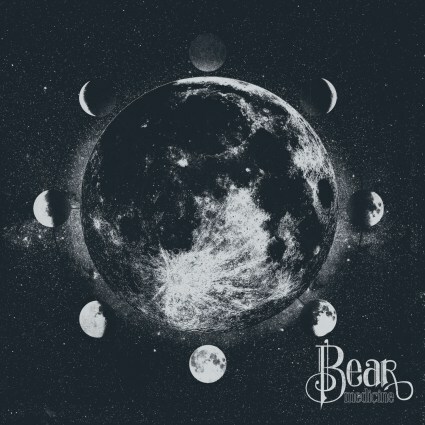 Bucket Full of Nails is proud to premiere Bear Medicine’s The Moon Has Been All My Life. Listen to the exclusive album stream below and purchase the album on 14 October through iTunes, Amazon or via Bear Medicine’s Bandcamp page.